18% of all people say they have a favorite one of these; what is it? 18% of all people say they have a favorite pen! 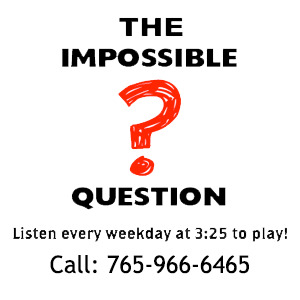 Congratulations to Tommy Hampton of Webster, IN for being the first to correctly answer the Impossible Question!